Rachel Benfey was born in Raleigh on March 30, 1927, and the family soon moved to Cameron, NC. She graduated from Guilford College in 1948. The same year she began teaching at Haverford Friends School and met Ted Benfey who was teaching at the college. They were married the following year, had three sons, and in 1956 moved to Indiana to teach at Earlham. At the college she taught art for elementary school teachers and became head of the Pauline Trueblood Nursery School. 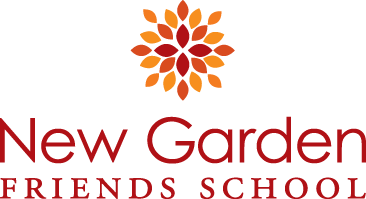 They moved to Greensboro in 1973 where she created A Child’s Garden preschool that is now part of New Garden Friends School. She also worked for many years as a volunteer at the Unicorn Press. Rachel took her first art classes with Ebbie Kent at Guilford. She developed her art further at Earlham, in Vienna, in Japan, and with Roy Nydorf at Guilford. She became skilled in textile dyeing, such as batik, tie dyeing, and katazome, the traditional textile dyeing technique of Japan. After Ted’s retirement they moved to Philadelphia where Rachel worked in the Children’s Museum. They lived for a while in the intentional community of Bryn Gweled. Returning to Greensboro they joined Friends Homes.